Use this tag carefully to denote episodes posted to the site. 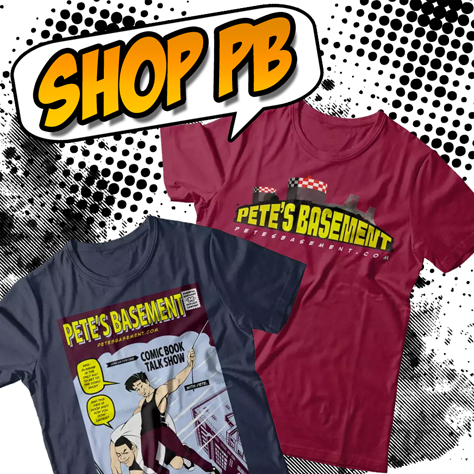 It’s the PETE’S BASEMENT 500th EPISODE!! The original crew is back together for this special event! Join Pete, Ramon, Adam, and Steve as they walk down memory lane. Hear how it all started, 10 years ago, and what they’re up to today. The boys discuss some new comic culture trends, movies, and tv shows, as well as what books they’re currently enjoying reading. What are you still doing reading!? Join in the laughs and hit that play button! Pete and Red hit the roundtable and review three weeks worth of Indie books that hopefully didn't fall under your radar! Titles like Image's The Magic Order and The Weatherman, Aftershock's Lost City Explorers, Titan's Konungar: War of Crowns and many more! Some of the best books the boys have red over the last few weeks are talked about here! Trust me, you don't wanna' miss this one! Hit that play button!